ORMA tank by Wismec, features detachable structure and 3.5ml large capacity. 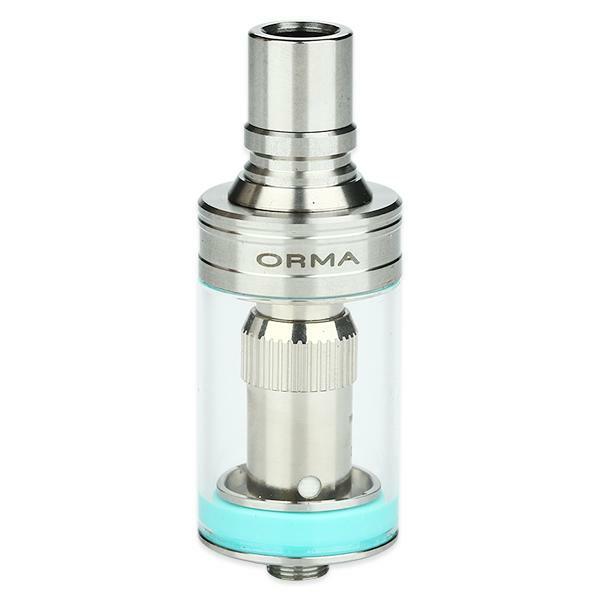 With side e-liquid filling and top airflow control, the ORMA appears convenient in use and fashionable. WISMEC ORMA Tank comes with 3.5ml e-liquid capacity, featuring its stainless steel material and detachable structure. With side e-juice filling holes, liquid refilling can be finished quickly without detaching the atomizer. Applying the top airflow control, the whole device appears convenient in use and fashionable in look. When working with the equipped two kinds of atomizer head, better flavor and larger vapor will be gotten unexpectedly. • It's compatible with Wismec DS NC/DS Dual Atomizer Head. The product has arrived successfully. Very fast delivery, and already packing. The product is of high quality and very good. Sehr gute Stopfmaschiene kann sie nur weiter empfehlen! Geht sehr schnell und befüllt die WISMEC sehr gut! Würde sie mir wieder kaufen. WISMEC ORMA Tank, everything is perfect with it. Nothing to say, easy to use and clean.